First posted 19th January 2010 on Liquorature. Surprisingly similar to the Zacapa 23…silky, sweet, smooth, supple, and a great drink by itself. This review is being written in January 2010 (and amended again in April), but we actually had this phenomenal rum for the first time in April 2009, the first time I hosted the Club. A nippy night as I recall, and iconoclastic as always, I obstinately refused to get whisky, and loudly blared to all and sundry that it would be a rum night (and so started a peculiar tradition of Liquorature, which is that the voluble, lone crazy in the corner is a Caner and nothing can be done about him, so let’s buy him a bottle to shut him up when the Club meets ). I’d like to point out that this rum was such a hit that it was repeated at the March 2010 gathering, having, in the interim, gained a cachet that made its re-release almost inevitable (whiskey drinkers never have this problem, I grouse – the shop shelves buckle with the weight of the many scotches, while us poor upholders of the sugar-flag must suffer in silence). In the opinion of this long-exiled West Indian, the Trinidadian Zaya rum is value for money. Zaya’s deep amber color suggests full body and rich flavors. Aromas of caramel, molasses vanilla are most pronounced upon opening. Initial tasting reveals substantial flavors of vanilla, coffee and molasses, followed by more subtle tastes of butterscotch. It is sweet, and that’ll be off-putting to some (and I suspect whisky lovers will avoid it altogether), but damn, is it ever smooth. Finish is consistently heavy throughout, leaving behind flavors of vanilla and caramel. The flavours are excellently strong without being overwhelming…for a bit there, I thought I was tasting a spiced rum, to be honest. If you like a bit of burn the finish will please you, but it’s not out of bounds to mix it just a bit. A splash or two of coke does the trick, though I fail to see the point, and I can just drink this baby all night long. 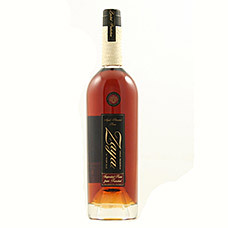 Research informs me that until 2008, Zaya was estate-produced and bottled in Guatemala by Industrias Licoreras de Guatemala, home to Zacapa’s fine rums. where rich volcanic soils and tropical temperatures produce some of the best sugar cane in the world (as a loyal Mudlander, I cannot in all honesty accept this heresy, and so dismiss it as claptrap for the gullible). In the first half of 2008, the distribution of rums produced by Industrias Licoreras de Guatemala was assumed by the giant Diageo, resulting in the Zacapa brand being given priority. Zaya was forced to move production to the Angostura Distillery in Trinidad. Guatemalan rums are said to be some of the smoothest available; Trinidad’s rums by contrast are often more heavy on oak and tar, as evinced by the Caroni line of rums. Packaging of the two versions is nearly identical, with a few unobtrusive changes to help you determine which version you are holding. The extra-heavy bottle with the leaf-wrapped neck and cork stopper are the same as before, but is now sealed with a sticker that reads: “Trinidad Production”. The labels are slightly modified as well. The small circular crest at the bottle’s shoulder that previously displayed a pre-Columbian native central American mask is now replaced with the Trini coat of arms containing a Scarlet Ibis and two sea horses. More obvious are the words at the very bottom of the main label, which declare the country of origin: “Imported Rum from Trinidad” now replaces “Imported Rum from Guatemala”. The one we had in April 2009 was definitely a Trini one, based on that label. To my surprise, of all the rums we’ve had thus far, this one was the hit of the season (and it had strong competition that April night with a Jamaica Appleton Master Blender’s Legacy and a Flor Cana 18 year from Nicaragua), and I relate this to the slightly more powerful taste I mentioned, which really struck a cord with the guys. Eyes still grow misty at the memory, or so I’ve been told, and the rum keeps being used as a quasi-baseline in our group. To my mind, it’s been eclipsed by the English Harbour 1981, but there’s also a ~$100 price difference so if I was short on funds, the Trinis would get my cash for sure. There is a growing backlash against Zaya, led by people who remember the older, more complex Guatemalan profile (and the early years of the Trini one), and who despise the addition of more and more vanilla and spices into the current profile. It has led one popular bar to remove it from their shelves altogether, as remarked in this essay by the Rum Collective. But other online reviewers over the years (Dave Russell and the RumHowler to name two) have also begun to gripe about the matter, and the current imbroglio over the amount of sugar and other inclusions in rums is sure to add fuel to the fire.